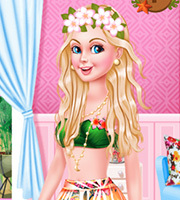 Description: Help lovely Ellie get ready for an amazing trip to one of her favorite tropical destinations, Hawaii. She fell in love with this place a couple of years ago when she visited Hawaii for the first time. Ever since the first visit, Ellie goes back every year in the cold season, to get her dose of sun, white sandy beaches and crystal clear waters. She misses summer and she can't wait to get there. 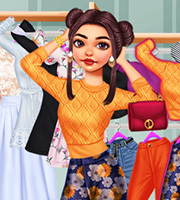 But Ellie needs to pick some summery outfits, she needs a new hairstyle, a summery makeup and a new manicure. 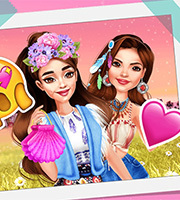 She must look perfect at the beach, so help her pick the outfits, give her a new makeup and an amazing nail art.